Once a visitor has found your app through the app store, you need to convert visitors to users by convincing the visitor to download your app. The visual elements of your app are the first thing that people see when they view your app on iTunes or Google Play. Many times you only have a second or two to catch their attention and convince a visitor to become an user. Your visual elements have to look amazing and quickly convey important information about your app. This lesson will show you examples of excellent visuals, how to figure out what to use for your app, and how to test your designs. There are so many icon design possibilities that it can be difficult to figure out where to start. To make things simpler, we recommend that you begin by considering two design categories: branded or descriptive. If you want to go the branded route, then that makes things a little easier. For the first version of your icon, just use your company logo and colors. Do not be afraid to experiment with variations of this design after the first version. There are many things that you can do with a branded logo. One excellent example is Nike. 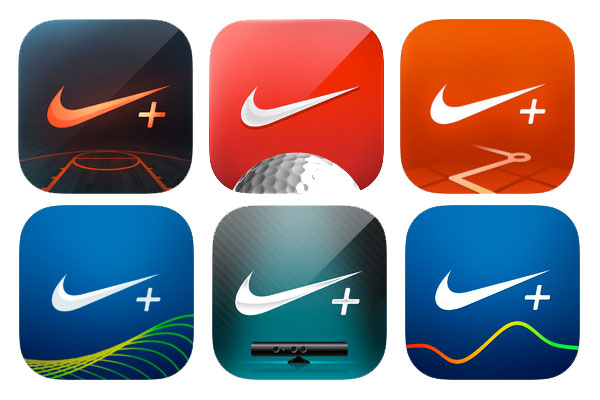 They have several different apps and the app icons all prominently display the swoosh. They design each icon a little differently, depending on the focus of the individual app. Descriptive icons are a bit more difficult. It is helpful to start simple and focus on one key feature, or element, of your app. If you have a functional app, you should highlight the most important feature. Notice how these icons are simple and users can instantly understand the function of the app. If you have a game, focusing on one character makes a good app icon. Here are a few excellent examples of gaming app icons that focus on well-known characters. You want to avoid having too many details in your app icon. Remember that your icon will be displayed on a variety of different devices. It needs to be recognizable, even when it is really small. Test it out to figure which icon works best for your app. Make sure that your icon is simple and makes it easy for people to understand what your app is about. If you need some inspiration, browse the App Store or Google Play on a mobile phone. You should use a mobile phone because your users will most likely be using a mobile phone when browsing the app stores and this is where the icon will be the smallest. While browsing, take note of which app icons catch your eye quickly and what makes them noticeable. Additionally, try to write down the details about unappealing icons and try to figure out how they could be improved. With a little research, you will understand the details of a good app icon and how to create an attractive icon for your app. Once created, test the noticeability of your app's icon by taking screenshots of friend's mobile device home screens, with your app mixed in with other apps. Analyze these screenshots and see if your icon would stand out in every day use. With a noticeable icon, your app will be distinguishable from the other apps in the app store and on the user's phone. Screenshots are another way to make your app appealing to prospective users and we recommend using all available screenshot slots. In addition to screenshots, you should always include an app preview video, however, we will cover the characteristics of a good video later on in this lesson. A common approach to screenshots is to simply use the screenshot function on a mobile device and upload the screenshot as-is. Here is an example. While this is a beautiful screenshot, it does not tell a potential user anything about the app other than it is a camera app. After analyzing thousands of screenshots and design trends, we recommend taking a different approach to optimizing your screenshots for the app stores. We have highlighted two examples below. 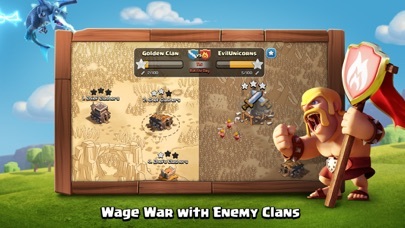 Clash of Clans, a popular gaming app, uses its well-known characters to emphasize the storyline of the game and engage the potential user by highlight actions they can take in the game, such as combat. In the screenshot below, you can see Clash of Clans uses text to describe one benefit of the game, it displays a familiar character and what the interface looks like, and is interesting to look at. Uber used multiple screenshots to create a narrative within the pictures, while maintaining engaging individual screenshots to display important information about the app. You can see how they display the user interface, describe the benefits of using Uber, and create a pleasant storyline throughout the screenshots. Uber utilized every screenshot to maximize its engagement potential with possible users. 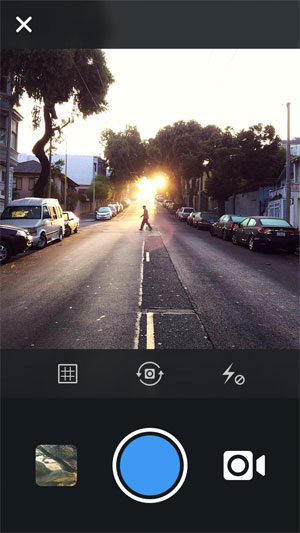 There are a couple ways to find browse through screenshots of top apps and competitor apps. You can browse the Top Charts in the Apple App Store or Google Play and look at screenshots through the app stores. An easier way is using an online platform to view all the screenshots from an app at once to determine its creative strategies. Sensor Tower's platform allows you to look up any app's screenshots through our App Overview page and displays the exact screenshots that an app is showing on the app store, as well as their video. After analyzing the screenshots from top apps and competitors, figure out how you can incorporate these concepts into your own screenshots and test which creatives work best for your app. App promo videos are available on both iTunes and Google Play and you can take advantage of this marketing tool to give your app the best chance at being downloaded from the app stores. The App Store calls the app video "App Preview" and displays App Preview videos both in App Store search results and on the app's product page. Google calls the app video a "promo video" that is displayed on YouTube, on specific brand searches on the Google Play Store, and on the app's Play Store listing. Neither of the App Stores require an app video, but an app video can be extremely beneficial for conversion rates. However, it is important to note that some app publishers decide against publishing app videos because a video requires many resources and if the app's user interface changes, a new video will be needed to display the new interface and any changes made to the app. With the combination of music, voiceover, and graphics, a good app video can be a much more effective marketing tool than screenshots. With app videos, it is easier to creative a compelling narrative that draws in and connects with the potential users. Well-done videos can help increase your apps' overall conversion rate and acquire more engaged users by educating users about the value of your app. Your video should display your user interface, the benefits of your app, a creative storyline, and should appeal to the potential user in the first couple seconds. Just like with your screenshots, be sure to point out the the biggest benefits of your app, emphasize unique aspects of your app, and create an engaging narrative that will convince the potential user to download your app. Lastly, make sure your video has a clear call to action, such as "Download Now"
Candy Crush does a great job displaying the user experience with this App Preview video, you can watch it here. They successfully showcase the type of game and important aspects of the app in the first couple seconds. As you continue to watch, they end with the clear call to action "Play Now" and limit the iOS video to 15 seconds. You can make your video interesting by adding music or voiceover to keep people watching. Using a site like Fiverr or Elance you can find someone to do a voiceover for you for your app's video. This is a good Google Play example from the Square Register app. The video is less than a minute in length, shows exactly how Square works, and is visually appealing. You can watch it below. If you want to produce a longer video, creating a narrative can be effective. Pinterest has a great example of a video that highlights the guided search feature in their app within a compelling storyline. You can watch it below. Similar to screenshots, browse the app stores and Youtube to find more ideas for your app video and take notes on what makes the appealing videos appealing and what doe not work. To test the success of your new design assets, leave them in place for at least a month to get a baseline downloads metrics. After some time has passed, start modifying certain aspects of your creatives to see if you can improve your results. When you are ready to test new variations, the best thing to do is to measure one variable at a time. If you are doing an update to change your icon, you would ideally wait until the results from the icon change stabilizes before making another design change. You can make multiple changes at the same time, but it will be much harder to measure the effect of specific changes. If you aren’t a professional graphic designer, you can use site such as Upwork, Elance or Dribbble to hire a professional designer within your budget. When deciding who to hire, be sure to look at their portfolio and ratings carefully. Even if a designer has good ratings, their style might not suit your needs. Next, interview the candidates on Skype or Google Hangouts to get a feel for how easy they are to work with. Once you have a selected designer, explain your desired design with specific details and comments you have from your own creative research. Your visual assets can drive organic growth by converting visitors to users. We've gone over some basic guidelines on how to best design your creative elements and how to test the impact of your creatives. Next lesson, we will review how to write an app description for the Apple App Store and the Google Play Store.